Since I’m trying to catch-up on my book reviews, I thought I’d bundle together a couple of books that fill a self care area that some of us might be neglecting, and that is our spiritual health. I am guilty of perhaps not putting enough energy into this aspect of my life. But I’m fairly good about having a book that centers around my spirit going at all times. Hopefully one of these selections sounds interesting to you, or inspires you to find a good uplifting book to add to your nightstand. Even a chapter a night helps to calm my chaotic brain before bed. Big thanks to both Booksparks for a physical copy, and the authors and publishers who allowed me to take a look at these books through Netgalley. As always, I pinch myself over the good fortune I have to do this regularly. I’ve attempted a few Bible studies in the past, but this is the first one I’ve actually completed. There are a few reasons for that, which probably say more about me than the books I picked up before. As I’ve mentioned in previous posts, I did not grow up attending church every week. I am what you could call a self-read and taught Christian, which means that when a study jumps into something too deep from page one…I have trouble following. And when the language or tone is a certain way, it can make me uncomfortable and puts me off. Like I said, it’s on me and not the previous books. I absolutely LOVED In All Things. This Bible Study was like a warm hug from a girlfriend, and I realize that sentence sounds so incredibly cheesy. A study on Philippians and the apostle Paul, the book gives you five days of “homework” for nine weeks and I felt it was both comprehensive and unintimidating. 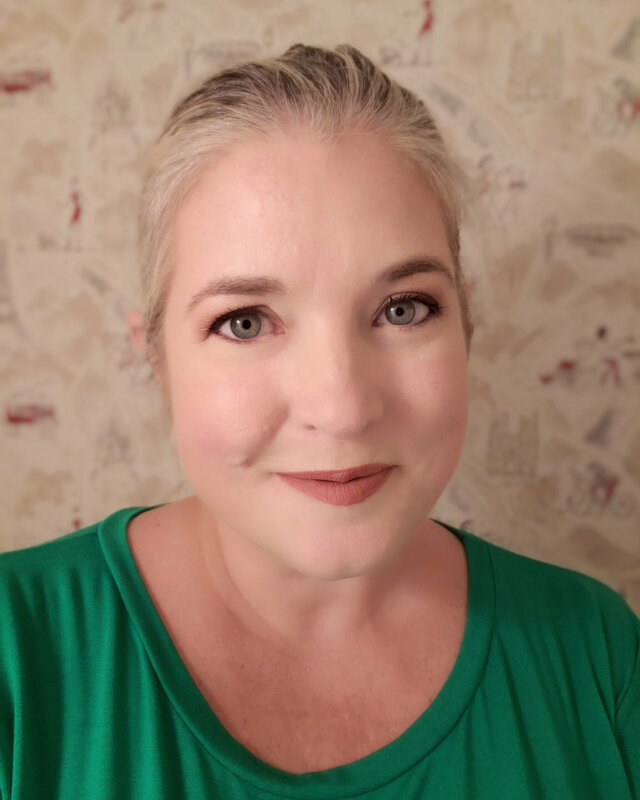 Geared towards women, the author Melissa B. Kruger writes anecdotal stories that tie the Bible passages in to real life, and then breaks down those passages with questions. There are also other related Bible verses placed in the chapters to help connect phrases and topics, which I found extremely helpful. But really, if you’re looking for a new Bible Study, or perhaps you’ve never done one and are interested in delving into your Bible a little more thoroughly, this extremely accessible and friendly one by Melissa B. Kruger would be the perfect addition to your nightstand. I keep reading article after study talking about how good meditation is for you, and how important even a few minutes of it can be for your mental health. And I’ll put out there immediately that God, prayer and meditation can all blend together seamlessly…hence this being included on my spirit list. We need to quiet our minds and center ourselves, and my mind is all over the place. So this lady needs meditation in her life. One Minute to Zen by Ali Katz is filled with practical tools to use to slow our minds down, relieve the stress and reap all the benefits meditation can give us. You know I’m always going on about how I like my nonfiction books to be practical…I want them to ACTUALLY break down what they’re talking about with REAL tips and tricks, etc. Well this book is filled with them…35 to be exact, and all of them take a minute. You can’t get much easier than that. Since I was reading a physical copy, and decided immediately that I was keeping my copy and not passing it along, I dog-eared half of this book. Yes, the word Mom is in the title, and the author does have young ones at home, but I found the book helpful even though I don’t have kids at my house anymore. These tips really were great at helping me realize that you can use meditation at any time, in any place…not just sitting on a cushion in a quiet, incense filled room with your legs crossed and your hands upturned on your knees. All it takes is a minute. And for some reason her square, count to 4 meditation has stuck in my head so thoroughly, I’m using it all the time now! So, this is another one I highly recommend, especially if you’re new to meditation and are maybe not sure where to start. Such an immensely practical and fun little book! 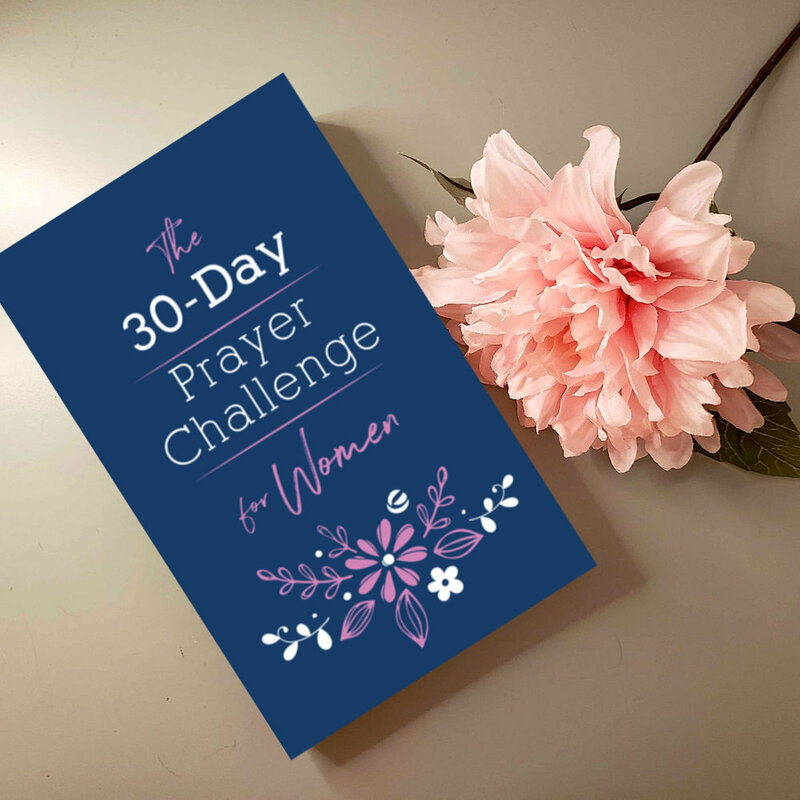 Since I was reading this book on my Kindle, it was easier for me to do the three prayer a day challenge than I thought it might be. I set up a reminder on my cell, and then read from my Kindle app on my phone, trying to calm my mind at midday and really focus on the prayer the author had written. It was easier to do the morning and evening prayers, as I did those in bed, and answered the questions using the note function on my Kindle. The release date is December 1st, and I notice that right now it is only available in paperback, so my system wouldn’t quite work with the exception of setting up that reminder. But perhaps an e-book version will show up after the release? I’d say this fairly bare bones book would be great for the challenge of 3 prayers a day for 30 days. I don’t think I’ve ever consistently prayed like this before, and I’m not sure I’d have done it in this fashion without the aid of this book and the author’s beautifully written prayers. My personal prayers are never as eloquent. I hope that you’re taking a little time daily to care for your spirit, whether in the form of meditation or prayer, or some other practice that calms and centers you. I really do think it’s important. Let me know in the comments if you have a book recommendation for me!